Since entering the financial services industry in 1987, Beverly has built a clientele comprised mainly of individuals, families, and small business owners. Her emphasis is placed on educated decisions while working closely with each individual to develop a personalized financial plan. Beverly’s extensive background in accounting is incorporated in helping clients more effectively work toward their financial goals. Beverly is a Registered Principal, also licensed in life, health, disability insurance, and is an Investment Adviser Representative. Currently, Beverly is registered in multiple states for securities. Beverly’s insurance licenses are in Arizona, California, Idaho, Oregon, and Washington. Frequently Beverly conducts workshops on Retirement Planning, Cash Flow, Estate Planning, Women & Investing, Tax Advantage Programs and Business Succession. She is a qualified Roll-Over specialist as well. On many occasions groups invite Beverly to be a guest speaker which she thoroughly enjoys. In 1997, Beverly was a stock picker for the Tacoma News Tribune, placing 2nd. McConaghy is a past recipient of the Cetera Advisor Networks LLC. MVP award (2012). 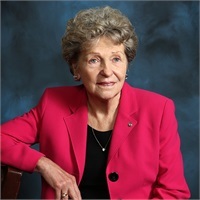 Beverly is on the Board of Trustees for Tacoma Lutheran Retirement Community Foundation, member of Tacoma South Rotary and U S Propeller Club, a former Executive Board member of Tacoma / Pierce County Chamber of Commerce. She is a Charter Member of the Institue of Management Accountants. In 2006 Beverly received the Pierce County Volunteer of the Year award. After relocating to Tacoma from Northern Idaho, Beverly raised her family and enjoys her grandchildren who still reside in the area. Twenty years ago one of Beverly’s projects included recruiting a fellow professional CPA to build an office building which serves as her Office located at 5000 Bridgeport Way West.